Brenda is a veteran of the United States Air Force. After serving her country, she endured man hardships, setbacks and heartbreak. She and her three beautiful children were left homeless. When she entered Family Promise she had nowhere else to turn. But, during her stay at Family Promise, she began to blossom. She studied for and earned her very first driver’s license. She now has a vehicle of her own and drives her children to school and daycare. Most importantly, she drives herself to her new full-time job. Because of the generosity of many donors, Brenda was able to buy her children Christmas presents for the first time in 3 years! 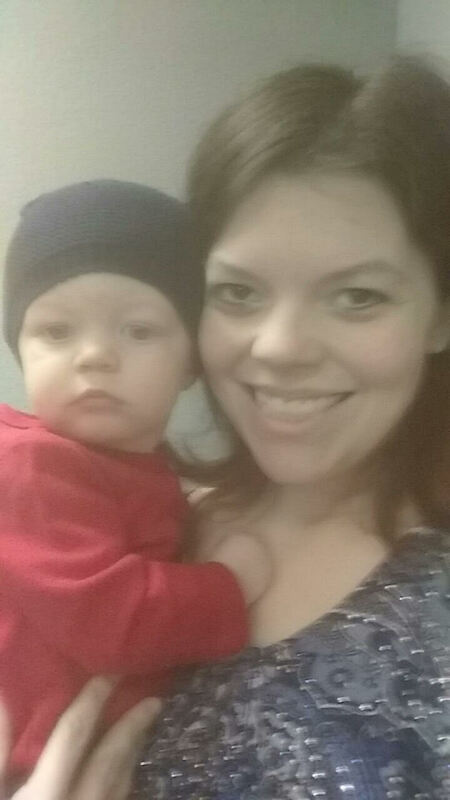 In January 2015, Erica, a single mom and her infant son Caden, came to Family promise seeking help. They were barely surviving on the little money she earned as a cosmetologist. They were homeless and were moving from friend to friend to find a place to sleep. Within a week of entering the FPL program, Erica was able to enroll Caden in daycare and quickly found a full time job at a fast food restaurant. While in the program Erica attended workshops which provided her with parenting and budgeting classes. She continued to save her money and eventually was able to buy car insurance for her car and months later moved into an apartment. Erica has been living independently for well over a year. During this time she changed careers and is now in a supervisory capacity for one of the world's largest retail stores. During her free time she earns extra income by putting her cosmetology skills to practice. Erica remains grateful for the help she received while at Family Promise. She called recently and volunteered to prepare a meal for the families in the program. and has given back by donating clothing and shoes that Caden has outgrown. Erica is an inspiration to all! She overcame the challenges of homelessness and left homelessness behind for good. Alli came to Lubbock in March of 2016 in search of a fresh start for herself and her three young children. While in the Family Promise program, she immediately obtained child care which allowed her to start seeking employment. Alli was hired at a local restaurant and later with the help of a volunteer was hired at a law firm where she was well paid and had the opportunity for upward mobility. She was able to pay off a previous loan, repair her car and even made arrangements to pay off a student loan so she could return to school. Immediately upon entering the program, Alli found a church home and began attending weekly worship services, bible study and has since rebuild her relationship with God. While in the program, Alli received much guidance and encouragement from her case manager, staff and the many volunteers from our network of churches and the Lubbock community. She quickly restructured her life and was able to regain her self-sufficiency and moved into permanent housing. Alli remains very grateful for the support she received in her journey to a new start. Like most families she willingly shared her gifts and her story with others. When asked to be a guest speaker at our Annual Community Luncheon, she nervously but willingly said yes. We gave her encouragement and told her Alli, you got this and she did! She moved many hearts with her testimony and motivated many to start volunteering. Like many former guests, Alli stops by to visit from time to time and shares exciting news about her family and of her most current successes. She recently reached out to Family Promise to donate Christmas present to the current families in the program. While at Family Promise, Alli listened and sang along to praise and worship music every morning. We miss her joyful words of thanksgiving and her favorite exclamation of praise, THANK YOU JESUS. We love you Alli, Abbi,,Mylie & JoJo. Maria, a 21 year old single mom, has been through her fair share of challenges in life. When she was just a young girl, she experienced the loss of her mother. Though she had her father who raised her until she was 16, losing her mother was life changing for her. At an early age of 16, Maria found herself pregnant. She was alone and scared for her and her baby’s future. Luckily she was able to move in with her uncle. At the age of 20, a couple years after living with her uncle, she found herself and her child in a position no one should be in: homeless. As soon as Maria entered the program, she became friends with the other families in the program while bonding over their similar struggles and fears. Maria was then on a search to find a full-time job to get the financial security that she so desperately needed and wanted. She worried that she would not be able to continue her classes at Texas Tech. The Case Manager advised Maria on what jobs to look for and what would best suit her at this time in her life. Maria found part-time employment which gave her the freedom to attend school and eventually got two part-time jobs working at Cracker Barrel and a catering company. Then in November, following her success in the program, the Volunteer Coordinator asked Maria if she would share her story with one of our partners from Texas Tech. Maria jumped at the chance to share her story. This helped boost her confidence and be even prouder about how far she has come in such a short time. Because of how well Maria presented herself, she was asked once again to tell her story at the Evening of Hope Gala event, to which she again agreed. At the event, Maria gave a moving speech about her life and her resilience. She did so well that a manager from a local car dealership, inspired by her story, approached and offered her full-time employment. Maria soon started working at the dealership and continues to work there today while continuing her education with Texas Tech. In January 2016, Maria graduated from Family Promise of Lubbock’s program and left with enough funds to rent her very own apartment. Maria is looking forward to the future. Her eagerness, enthusiasm, and resilience will ensure she sees success in the future. We are very proud of Maria on her achievement of defeating homelessness and poverty. We wish her and her son Israel the best in their future endeavors. In September of 2015, Chris, Nina, AND THEIR two young children, left their small hometown in search of a better life. They hoped to find full-time employment and housing, but too soon were faced with barriers that prevented them from becoming self-sufficient. Their plan of living with relatives until they could get on their feet had sounded like an excellent idea, but as the months went by, they found themselves still struggling. It wasn't easy depending on rides to job searches and interviews. Weeks later they found themselves still unemployed and trying to hold on to the little money they did have. They soon realized they had become totally dependent on others; they needed help! Nina remembers this being one of the most difficult times of their lives. This was the turning point in the lives of Chris and Nina. Determined to make a change, Chris called Family Promise. In doing so they discovered a place they could go to and call home while working to get back on their feet. Within the week they found employment and With the help and guidance of the case manager they started a savings plan. Chris hoped to save enough money to buy a car but KNEW that his greatest obstacle was not having a drivers license. With help and encouragement from staff and volunteers he studied and passed his test and did so after only 2 attempts! That day he gained a new sense of confidence and independence! Through weekly life skill workshops Nina and Chris began to have a better understanding of budgeting their money. the importance of paying their bills first and saving whatever was left over became clear to them. After a few short months, they had saved over $3,000. A few days after leaving the program they returned to the day center, in their very own shiny red car. It wasn’t new, but it was theirs and it was paid for! Chris and Nina have LONG left our program but they RETURN to visit from time to time. They REMAIN EMPLOYED AND continue to see the importance of working to provide for their two young children. We wish this young family continued success and much happiness.